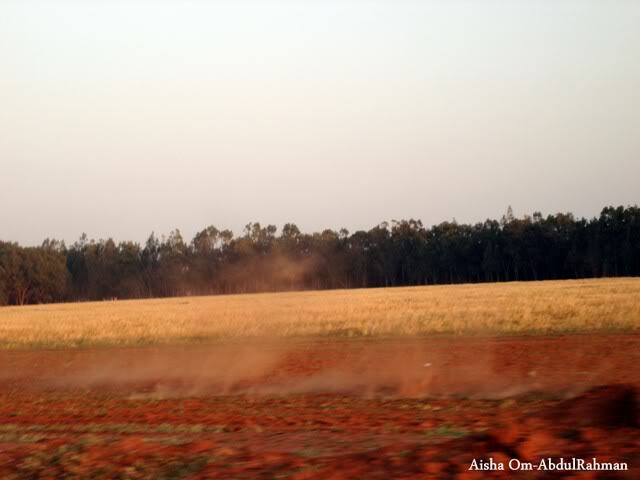 This is a shot i tried to take of a single rider galloping by on his horse - only the dust and a bit of shadow is visible! Awww mashallah beautiful pictures!!! awwww i wish i can gooo libya now...that was a beautiful insight to you culture....it must be beautiful to wake up in the morning to gorgeous greenery and atmosphere etc....Your pictures are lovely!!! WajazakiAllahu khairan dear sister zaza. InshaAllah I will add some more dear sister White Dove, I am glad that you enjoy my pics. 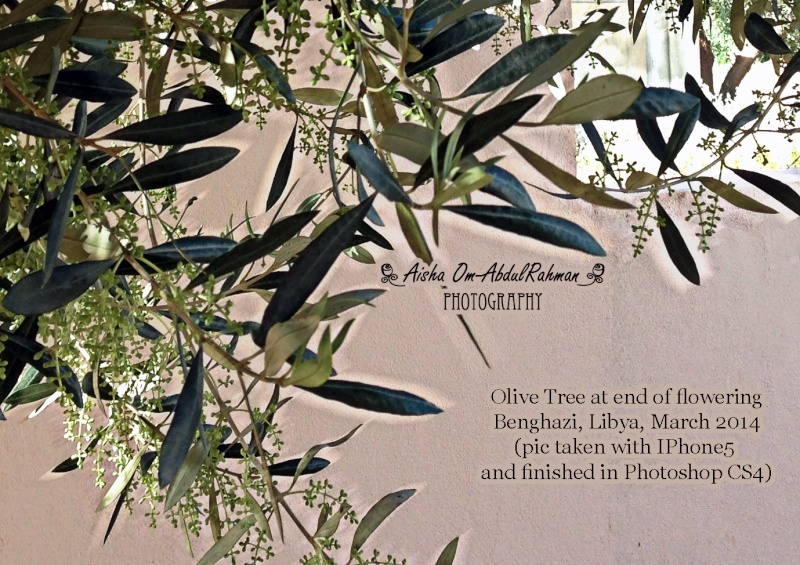 This is the view of an olive tree through the window of a building which is still under construction. 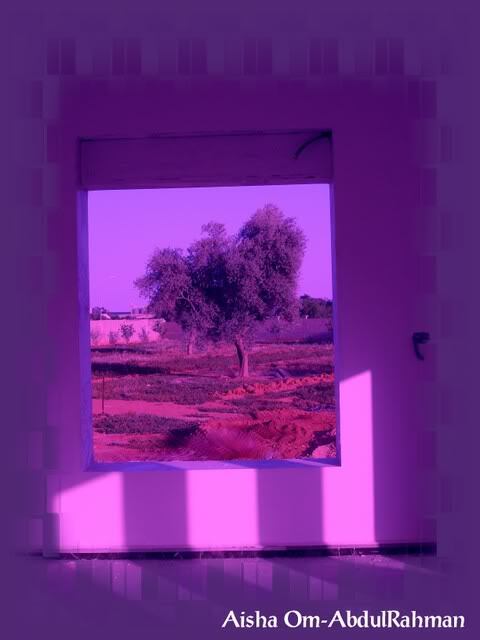 I made it purple and framed it in the photoimpact programme. 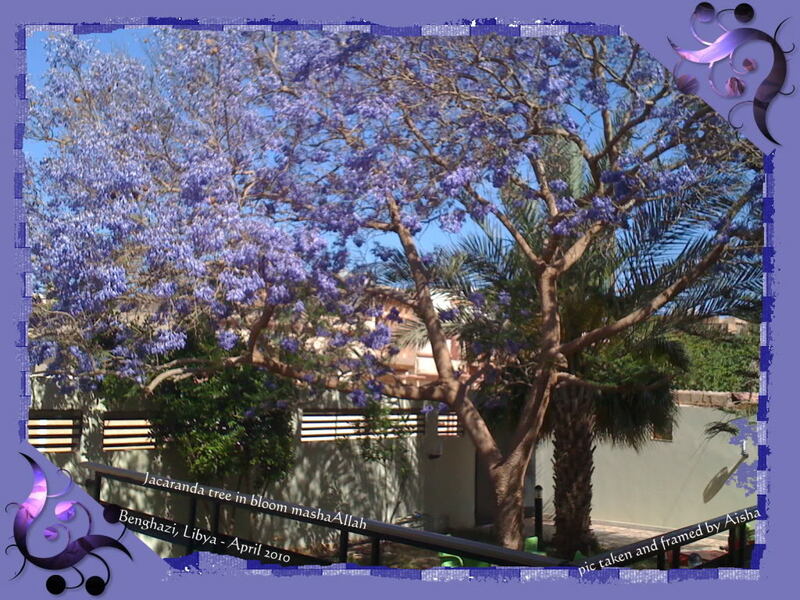 Masha Allah you created a lovely effect by adding the purple touch. I am posting this next pic as a direct link as it is a photo which contains living beings. 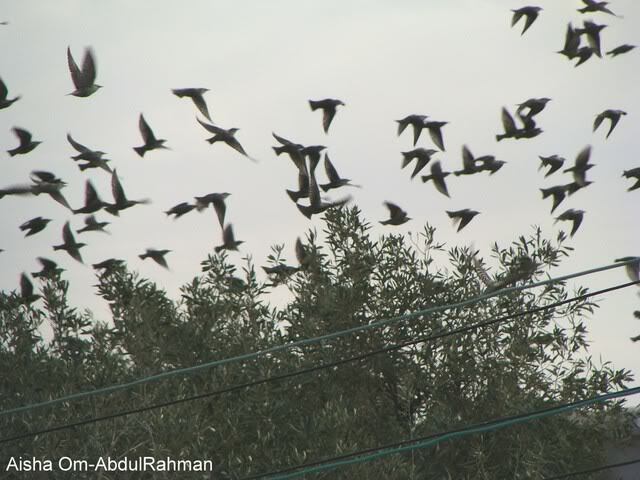 The photo is one I took of a flock of Starlings taking off from some olive trees which they seem to have been feeding on opposite our home. I love the one of the sea sooooo much. Mashallah, it is so relaxing. and the olive and date trees are just so wonderful. I may go back with my camera as this was taken with an iphone and the detail is not really there. Masha Allah sister Aisha, I so glad you shared this photo with us. SubhanAllah what a beautiful tree. I love all these different colours of blossom on the trees! How lovely, you are a teacher, Masha'Allah! Sister Aisha, I hope will post more pictures of Libya. Thank you for sharing these beautiful spring pictures. dear sis Aisha. Yes, the pictures are very lovely masha'Allah. The children have a great view from their classroom alhamdulillah. 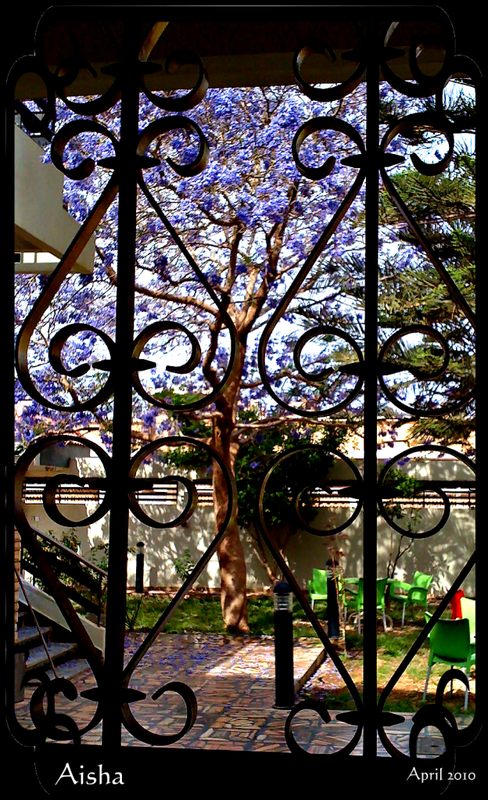 SubhanAllah, what a beautiful tree and what a lovely school! for sharing sister Aisha. Beautiful, I don't think I've ever seen pictures of Libya. Personal pictures tell so much more than professional ones you may see online anyway.